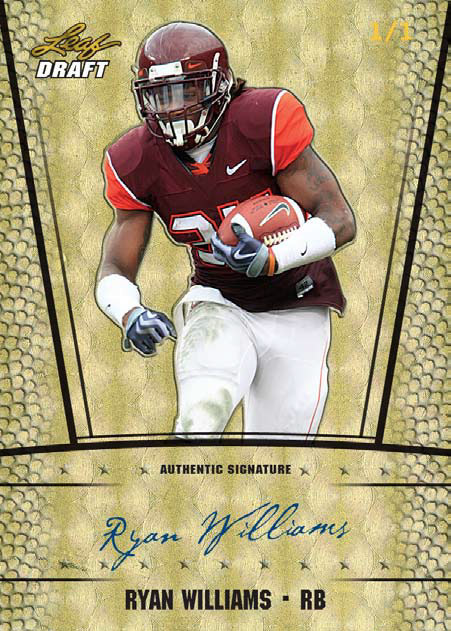 Each single pack hobby box of 2011 Leaf Metal Draft delivers 4 autographed cards. 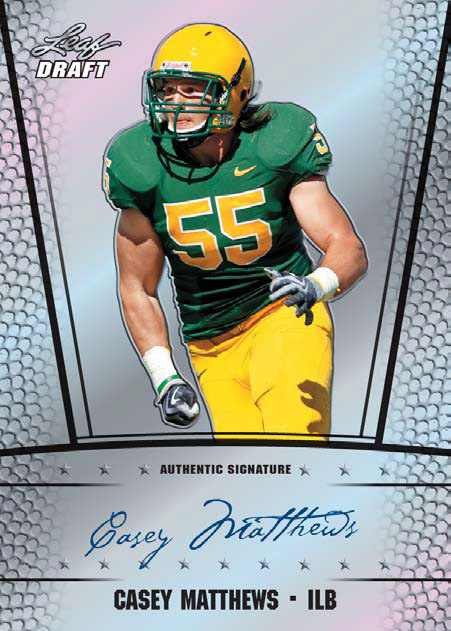 Autograph inserts highlighted by Young Guns (quarterbacks), Touchdown Kings (running backs and wide receivers) and Leaf All-Americans (10 of the games most exciting young players). Prismatic parallels with multiple levels: regular prismatic, blue prismatic, red prismatic (#'d to 5) and super prismatic (1/1). 70 player checklist with an emphasis on skill position players. Every single card is autographed! 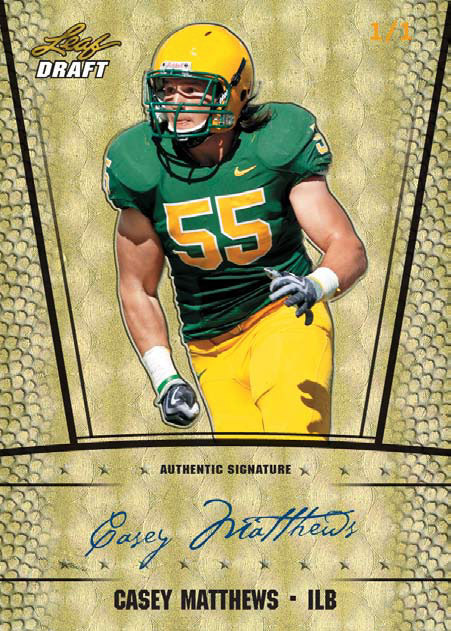 Look for draft pick cards featuring Cam Newton, Mark Ingram, Blaine Gabbert, Ryan Mallett, A.J. Green, Jake Locker, Julio Jones, Nick Fairley and other big names!